There’s no slowing down as size? preview another exclusive Nike release, coming back to the Huarache after a stint of Air Max 93s with this Black/Fuchsia/Laser Orange LE release. 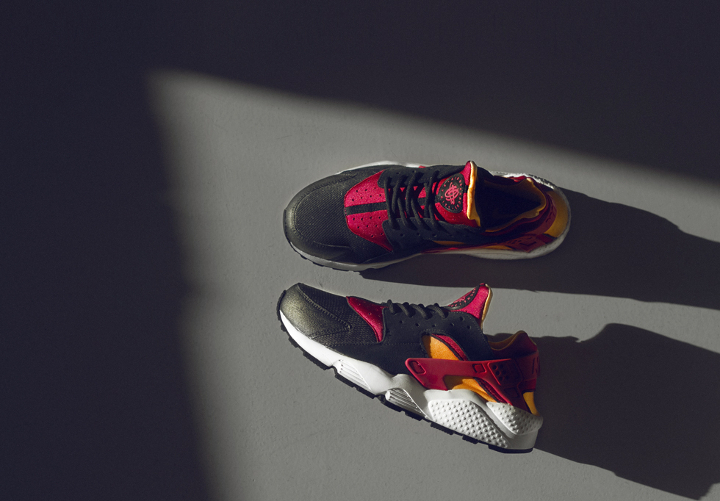 The Huarache LE has has unrivalled dominance at the top of many ‘sneakerheads’ most wanted lists this year, and size? look set to finish off their run of exclusive colourways strong. Black nubuck and mesh meet Fuchsia pink heel support and neoprene with the pop of Laser Orange creeping through under the arch and on the shoe’s interior. The white midsole and black outsole give this rendition the classic treatment and help to produce a colourway that wouldn’t look out of place in a line-up of OGs. Just last week we spoke about the store’s Volt Air Max 93, which itself was the third release in a selection of 93s this season, and size are already ramping it up to the next one. These might not meet the hype that the elephant print styles received back in August, but they will definitely fly. 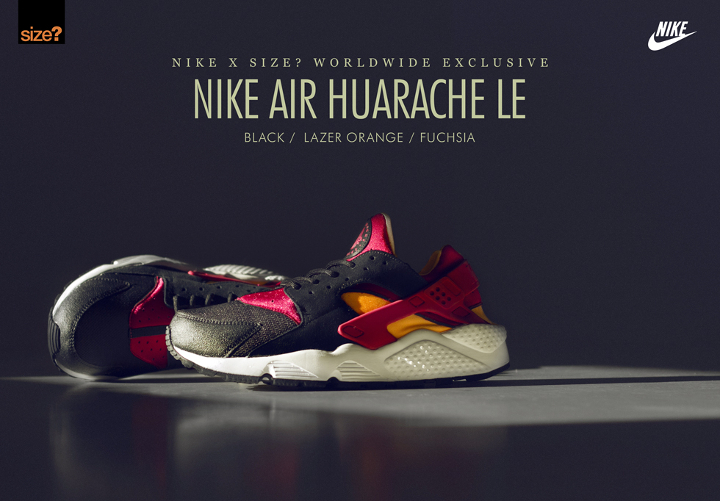 The Nike Huarache LE ‘Black/Fuchsia/Laser Orange’ will be available this Friday November 15th at all size? stores and online (via direct links on Facebook and Twitter pages) priced at £95.